Our mission is to help subsurface scientists and engineers develop and adopt a digital-first approach to their work. 100% customizable. There are no firm plans for public classes, but we expect to announce some soon. Sign up below to be notified of the next classes in Europe and North America. For in-house classes, please get in touch. 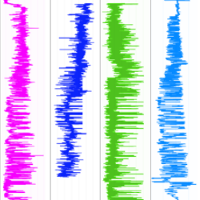 Load and manipulate poststack and prestack 2D and 3D seismic data and seismic horizons, making various kinds of plots. We provide open data, or you can use your own data. We use segyio for SEG-Y data loading. Load and manipulate well-based data, such as wireline logs and stratigraphic tops, using welly. 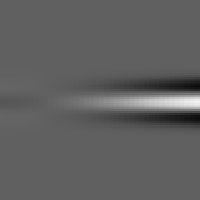 We only use open-source software to process and analyse subsurface data. Use state-of-the-art statistical analysis and plotting packages to easily make plots that would be very frustrating to make in Excel. Data exploration is key to a successful machine learning project, as we'll see in scikit-learn. Learn how to make an offset synthetic seismogram from scratch, implementing all the mathematics and physics with Python's numerical computing package, NumPy. We'll demystify the whole process. Load structured data into pandas dataframes and manipulate it easily, to prepare for a machine learning task or other analysis. Soon you'll be just as productive as you are in Excel. Learn how to load and manipulate image data in Python. We'll show you how to perform some useful image analysis tasks, such as segmentation, using scikit-image. This introductory Python course is aimed specifically at geoscientists and engineers. We only use familiar data and workflows, so participants are writing useful code from the start. Over the course of 3 days, we make a well tie from scratch, and in doing so, we use well logs, seismic data, and a wide range of programming tools. 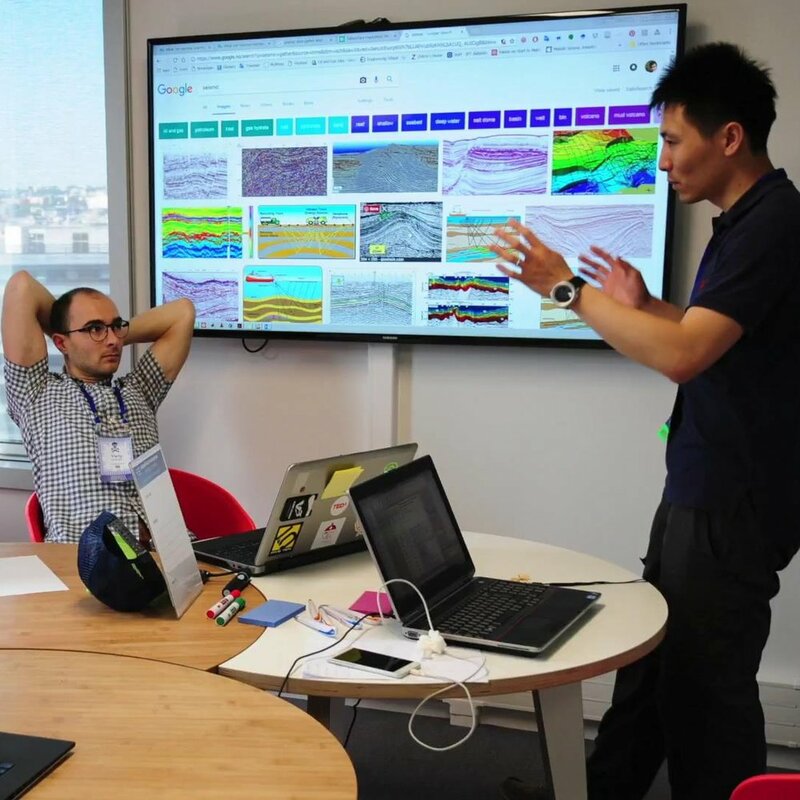 By the end of the course, participants are able to solve straightforward geoscience problems with short Python programs and state-of-the-art numerical computing tools. This course builds on the Foundations in geocomputing course, going further into some topics, and introducing some new ones. For example, we build some small applications, and explore visualization and interaction. We look at examples in image analysis and signal processing. By the end of the course, learners will have written some self-contained Python programs that they can easily run from the command line, and even share with others. They will also have a clearer picture of the world of scientific data analysis and how it applies to their own work. This module builds naturally on the Next steps course, but can directly follow Foundations in geocomputing. Using relevant examples and subsurface datasets, we compare and contrast the major types of machine learning tasks: classification vs regression, and supervised vs unsupervised learning. At the end of the course, participants will have a solid grasp of the principal tools in use by Python data scientists, and know how to successfully explore problems in their field with these tools. The other courses were just leading to this. A 'project day', with no set structure, and our instructors there to help and mentor, is a great way to cement the learnings from the structured courses. Our goal is for everyone to leave this event with a clear idea of how to approach your dream project, the tools that will help you get there, and the beginning of the actual application. Armed with these things, you have a high chance of success. Recommended duration: 1 or 2 days. Guide for per-person prices in USD for in-house courses. Discounts are available for larger groups or multiple runnings of a course. Customization can be added at a day rate of USD2000; there is a 50% discount if we retain the rights to the customization. These prices do not include our travel time or expenses, which we bill back to you. 3 days 8 $2250 ea. $2000 ea. 4 days 8 $2700 ea. $2450 ea. 5 days 8 $2950 ea. $2600 ea. We award digital course certificate through credly.com, so you can track your training and display authenticated certifications on your LinkedIn profille. We award credits at the end of each course.